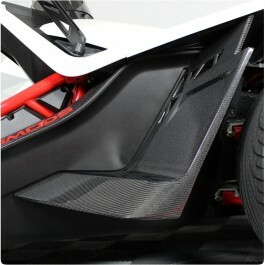 Front fenders and splash guards keep the debris of the road from making its way into the Slingshot's cabin. They sit just behind the front wheels of the Slingshot and mount directly to the body of the cabin. 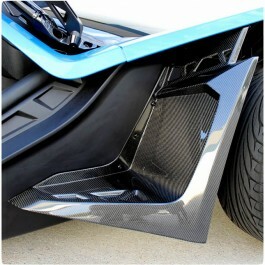 Due to their prominent location many drivers prefer to install aftermarket fenders or splash guards to enhance the appearance of their Slingshot. New options are often stylized, lightweight and shaped to the contour of the Slingshot without sacrificing functionality.